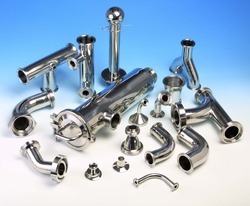 We are providing to our client Steel Tube Fittings.. These products are developed by the professionals of our vendors using high grade steel in accordance with the industry standards. The offered products are well known for providing support to bends and curves. We manufacture a comprehensive range of Ermeto Ferrule fittings. 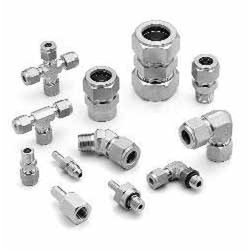 - Bite Type Fitting or Hydraulic Fittings, manufactured according to ISO 8434-1/DIN 2353 norm is mechanical fitting with a cutting rings for stapling on the tubes. The wesmec S-Lok twin ferrule fittings that we manufacture are fabricated using qualitative raw material such as SS 316 / 316 L, SS 304 / 3O4L, brass, monel, hastealloy, enconel & carbon sleet. These ferrule fittings have gained huge repute in the market for their excellent gauge-ability, leak proof, torque free seal and have the ability to withstand pressure upto 6000 PSI.